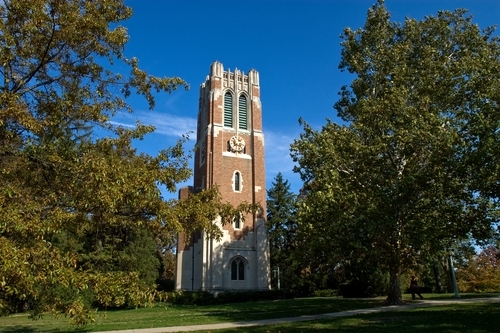 The world’s one and only Knight Center for Environmental Journalism is housed in MSU’s School of Journalism. Students learn from environmental experts and journalists and report for professional award-winning publications and broadcast outlets. They experiment with new ways of explaining complex environmental issues while maintaining traditional values of fairness and accuracy. Graduate students study how social media can change social behaviors that help Mother Nature. Our program is one of the few in the country that has been continuously reaccredited since 1949. Our curriculum is designed to prepare students to step out of the classroom today and into a job tomorrow. In addition to teaching valuable and ethical professional skills, our graduates are known as deep thinkers and motivated doers, and as a result, they are rising stars in the industry and highly successful. 5) having a broad foundation while achieving in-depth knowledge of a specific area. Faculty inspire students to think “outside the box” to succeed in journalism in yet-undefined ways. And, our high-tech computer labs have only 20 stations so that students have more individualized attention in these small classes. Each lab is equipped with digital image projection studios. All major software titles for graphics composition, photography, web authoring, and audio and video media editing are installed in each lab. “We have fully equipped television production studios, video editing suites and audio recording facilities, in addition to video and audio editing software available in the computer labs. WKAR radio and TV studios and student media labs also are available for classes.